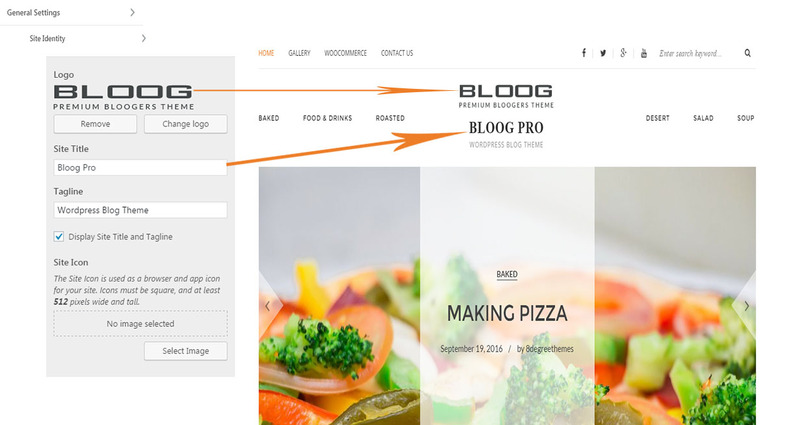 Bloog Pro is a feature rich woocommerce theme beautifully crafted by our designers to give best e-commerce experience. 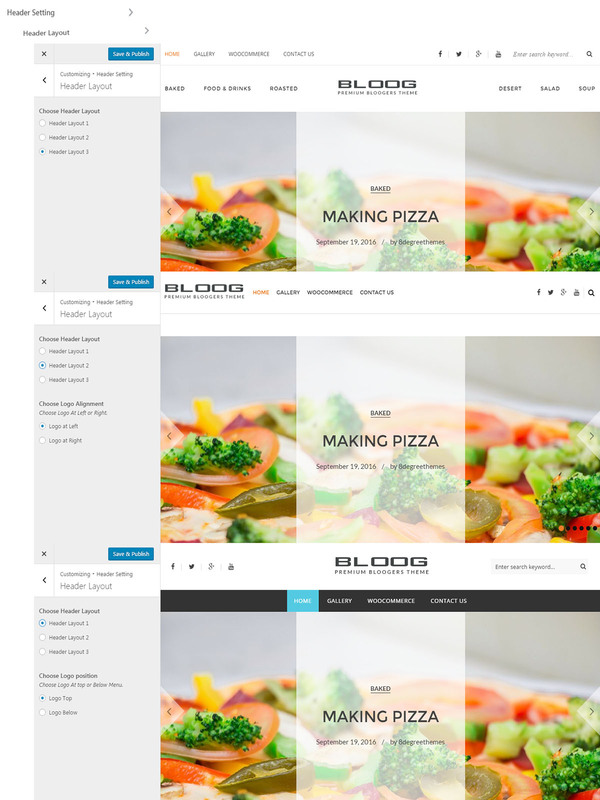 Thank you for downloading Bloog Pro theme. If you have any questions that are beyond the scope of this help file, please feel free to email at support@8degreethemes.com Thank you so much! Copy the files inside "bloog-pro" folder from the zip file of the latest version of Bloog Pro Theme. 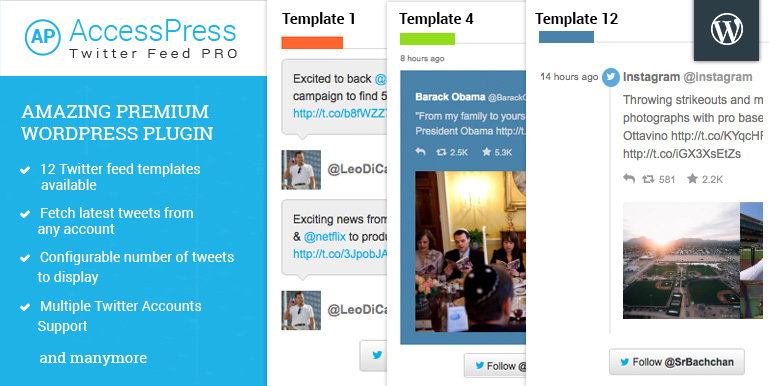 Select Homepage from a Template dropdown in the right side of the page(Choose Template 1, Template 2 or Template 3). These three template has different post layout. 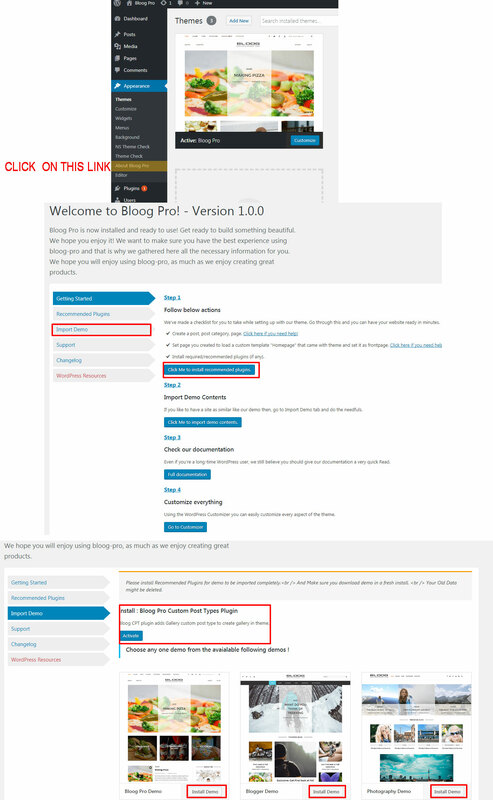 You can import demo data by going to welcome page created during installation of theme. 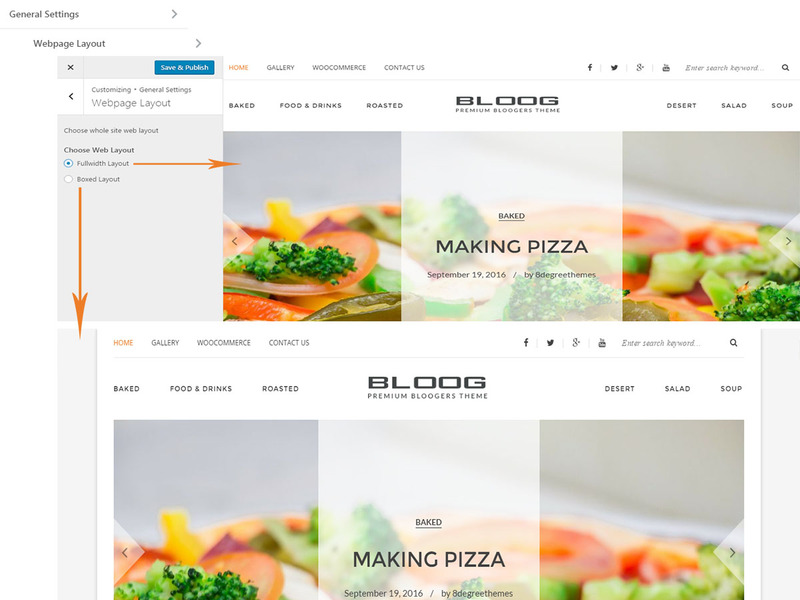 ​​Choose Boxed or Fullwidth Layout for your site. Choose ‘Yes’ to enable preloader in your site. Choose background color for Preloader. Add image to set as preloader. 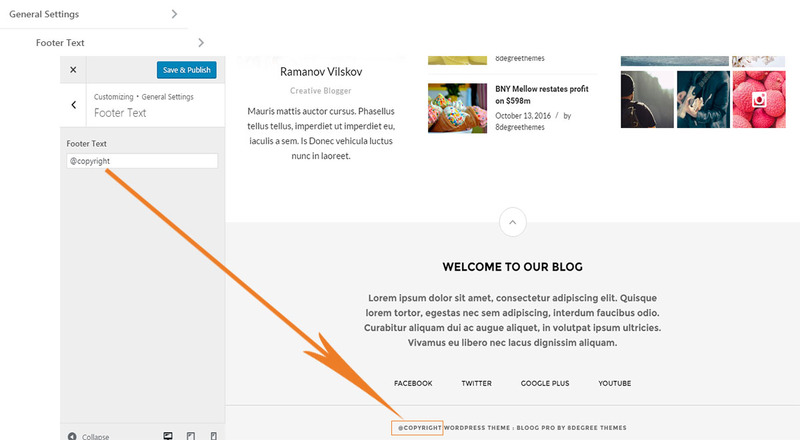 Enter the text to show in footer. Here you will need to setup the settings for header layout. Select 'Yes' to enable Sticky Header. Select Yes to Show Search icon in Header. Enter the text to add placeholder in search field. 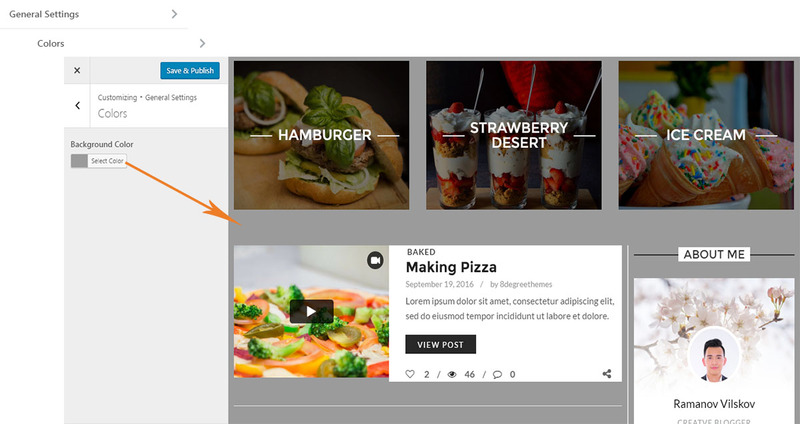 Add slider whether by Category or Other Plugins. 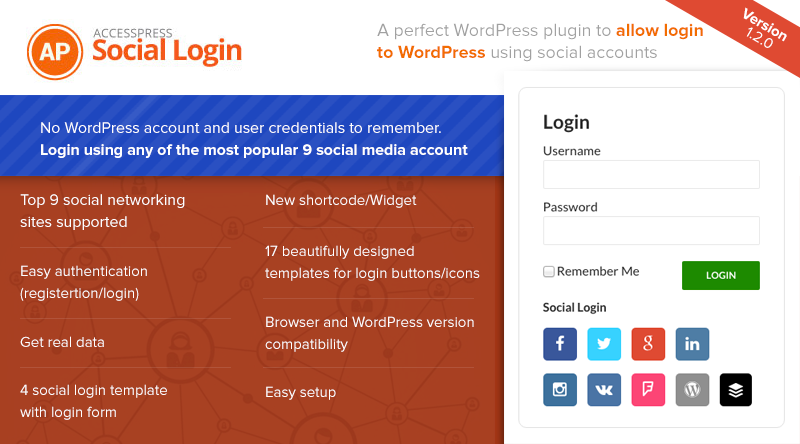 Choose slider whether by Category or Other Plugins. Choose category to show the post of category in slider. Choose no. of posts in a Slide. Choose total no. of posts in a Slider. Select ‘Yes’ to enable page in a Slider. Select ‘Yes’ to enable controls in a Slider. Select ‘Yes’ to enable auto transition. Select ‘Yes’ to show caption. Enter Slider transition speed time. Enter Slider transition pause time. 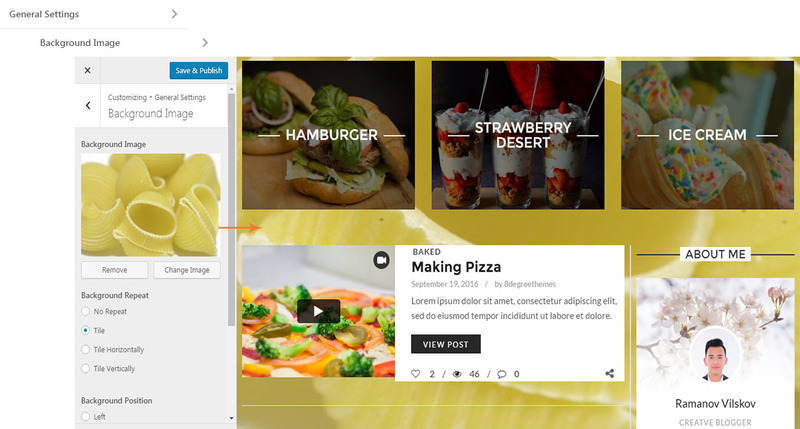 Enter the Shortcodes of Slider Plugins. Select ‘Yes’ to show featured post section on homepage below the slider. Enter the text to show in featured section title. Select the category to show the posts. Choose no. 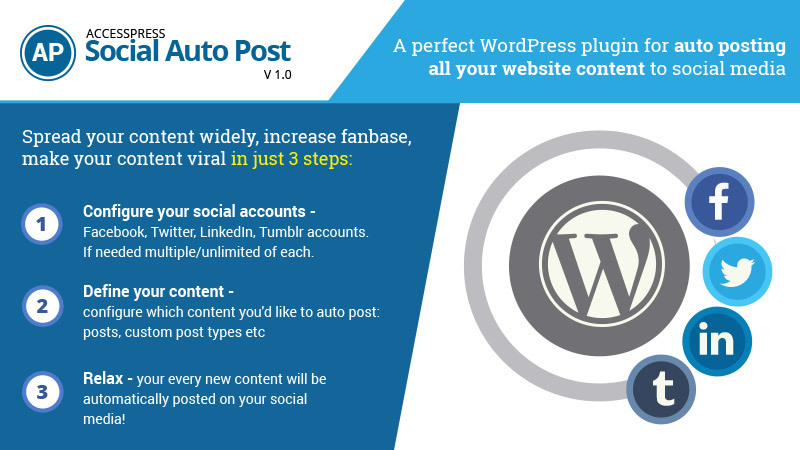 of post to display in featured post. Select ‘Yes’ to show the title of the post. Select ‘Yes’ to show the thumbnail of the post. Select ‘Yes’ to show author and date of the post. Select ‘Yes’ to show excerpt of the post. Select Categories to show the posts on Homepage. Enter the no. of posts to show on Homepage. Enter the excerpt of the post. Enter readmore text for the read more button of the post. Select ‘Yes’ to show no. of likes of the posts. Select ‘Yes’ to show no. of views of the posts. Select ‘Yes’ to show no. of comments of the posts. 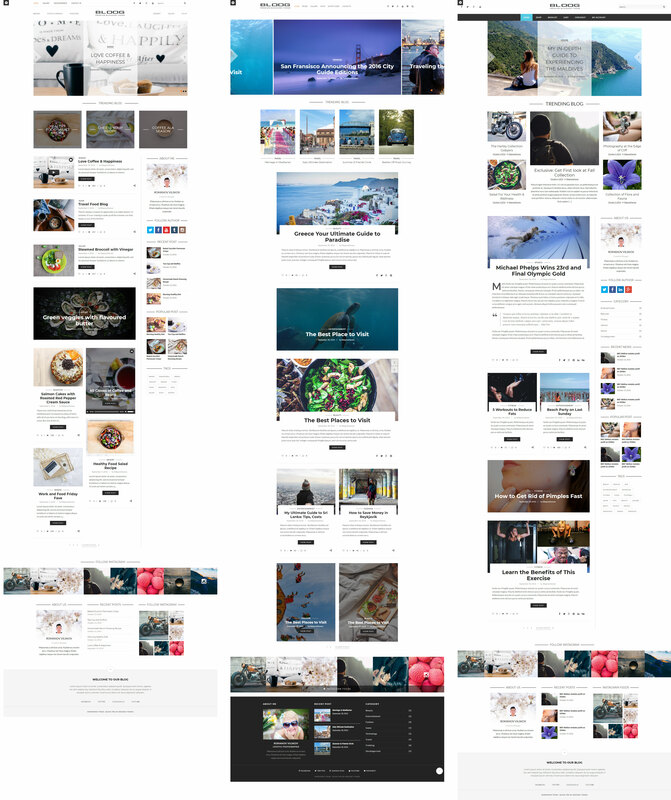 Select the sidebar layout for homepage. Select ‘Yes’ to enable slider in Single Page. Select ‘Yes’ to enable slider in Single Post. Select ‘Yes’ to show related posts on Single Post. Enter text to show title in Recent post section. Select ‘Yes’ to show the share links of the posts. Select ‘Yes’ to enable slider in Category Page. Select the sidebar layout for Category Page. 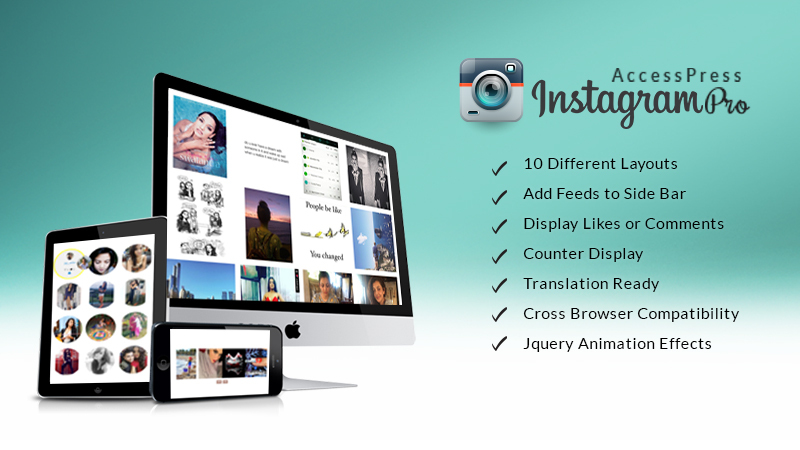 Select the post layout for Category Page. Enter the numbers for excerpt. Enter the text for read more button. Select ‘Yes’ to enable slider in Archive Page. Select the sidebar layout for Archive Page. Select the post layout for Archive Page. 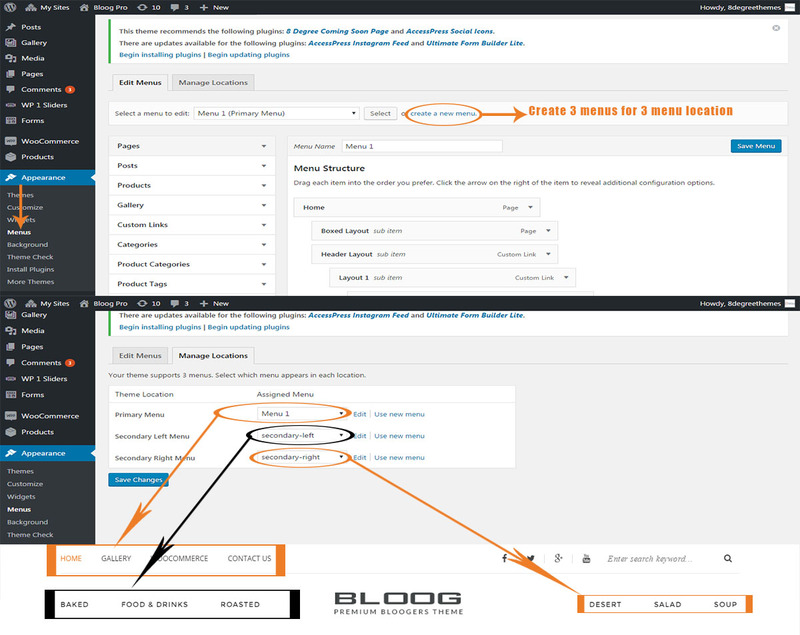 Note : For this option to appear you need to install Bloog CPT plugin embedded with theme. Select ‘Yes’ to enable slider in Gallery Page. Check the categories to show the post of those categories on Gallery page. Select the post layout for Gallery Page. 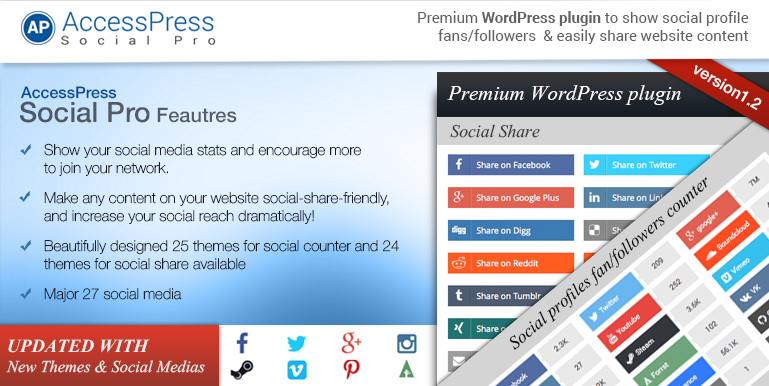 Select Yes to show Social icons in footer. 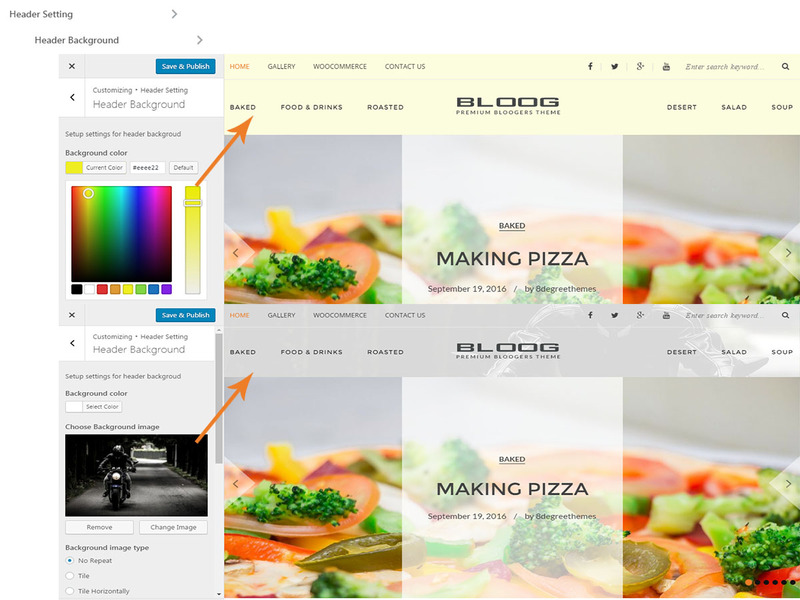 Choose background color for the page header Section. Upload image to add background in the page header Section. Select ‘Yes’ to display breadcrumb in page header. Insert the character to Separate breadcrumb. Select the desired font family for body text. Select the color and enter font size to show the formatting style for their respective tags. There are 3 menu location(Primary,Secondary-left and Secondary-right). 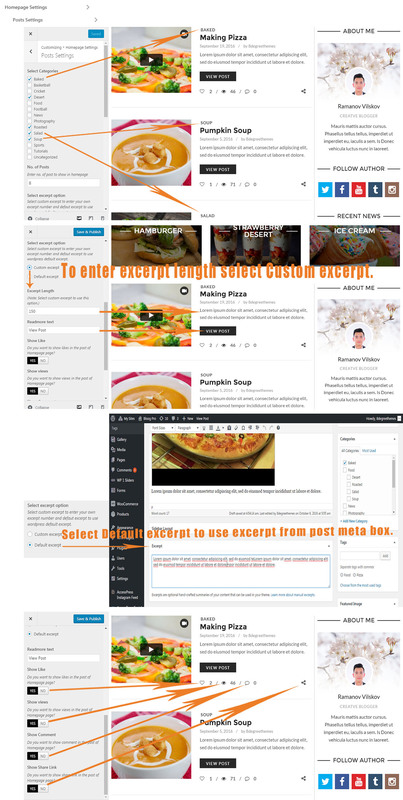 So, create 3 menus and assign them to their respected menu location.